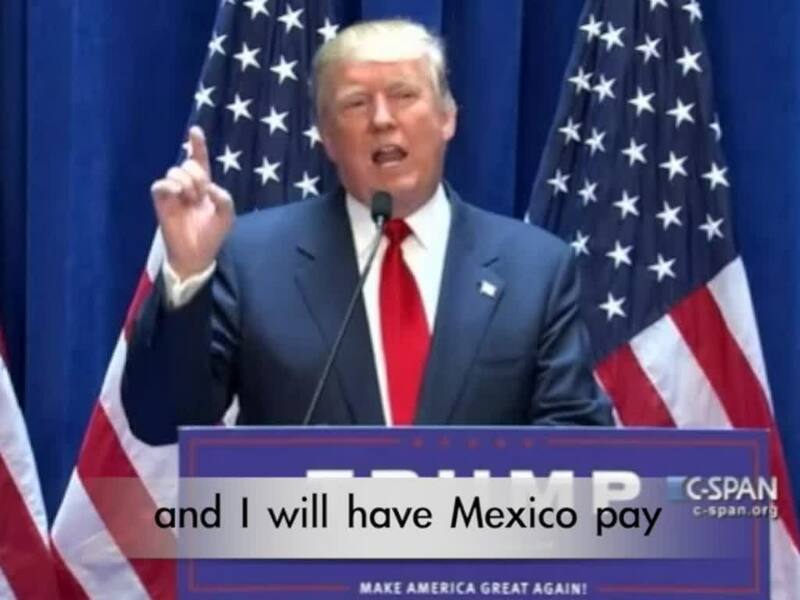 Build the wall you promised us, Trump. A 17-year-old male Mexican national allegedly assaulted a Border Patrol agent near Vamori in Pima County, Arizona, not far from the Mexican border. This is the third reported attack against agent in Arizona this week. The agent, a supervisor, was working alone and was assaulted on Thanksgiving Day evening, according to information provided to Breitbart Texas by U.S. Border Patrol officials. He was south of Sells, Arizona, when he confronted three male Mexican citizens. One became aggressive. The agent was forced to use pepper spray to facilitate the arrest. The agent arrested all three Mexican nationals. The 17-year-old is facing a charge of assaulting a federal agent. Breitbart Texas reported on Wednesday that U.S. Border Patrol officials from the Tucson Sector relayed that agents encountered a large group of suspected illegal aliens in the Baboquivari Mountain Range near Three Points. As one of the agents attempted to arrest the subjects, one illegal alien became assaultive. The agent discharged his service-issued sidearm striking the foreign national. The suspect died, and agents arrested three of the illegal immigrants but the others escaped. The incident occurred just after noon on Wednesday. During a press conference on Thursday morning, Tucson Sector Chief Patrol Agent Rodolfo Karisch told reporters two agents were involved in the incident, AZCentral reported. “The assailant wound up on top of the agent and was able to pull his weapon from his holster, at which time the other agent came up and shot the individual,” Karisch explained. Three of the illegal aliens traveled to Arizona from Guatemala. It has not yet been reported where the deceased person is from or what role he played in the group. They have been arrested on immigration charges. 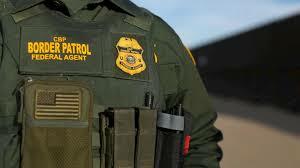 On November 21, an illegal alien from Mexico assaulted a border patrol agent assigned to the Tucson Sector. Breitbart Texas reported that the agent came upon a group of suspected illegal immigrants immediately north of the border between Mexico and Arizona. The agent attempted to arrest a 22-year-old Mexican national, but the young male resisted and threw dirt in the agent’s face. Breitbart Texas reported on Saturday that the U.S. Attorney’s Office for the Southern District of California refused to prosecute a Mexican national after his alleged assault on an agent put the agent in the hospital for head injuries. The Border Patrol agent received a concussion after being struck in the head by flying metal after the illegal immigrant plowed through a road sign while allegedly bypassing a checkpoint during a human smuggling run, Breitbart Texas reported last Friday. Breitbart Texas reached out to the U.S. Attorney’s office in San Diego for an explanation about the lack of charges. A cryptic response said the DOJ might be considering prosecution. The U.S. Department of Justice (DOJ) responded that it does not specifically track the prosecution of illegal aliens that assault Border Patrol agents. DOJ officials said their department has prosecuted 428 people for assaulting federal law enforcement officials. The number of prosecutions is up from 376 in 2016 and 336 in 2015. During the first 11 months of FY 2017, which ended on October 1, 671 Border Patrol agents have been assaulted in the performance of their duty, Breitbart Texas reported in September. This number represents a 67 percent increase over the same period in FY 2016. Final numbers for FY 2017 have not yet been released. Build the Wall Or Republican Voters Walk, Damit! Wednesday on the Laura Ingraham’s nationally syndicated radio show, Republican National Committee Chair Ronna Romney McDaniel said if Congress doesn’t help President Donald Trump begin to build the U.S.-Mexico border wall, voters will walk away from the GOP in 2018. 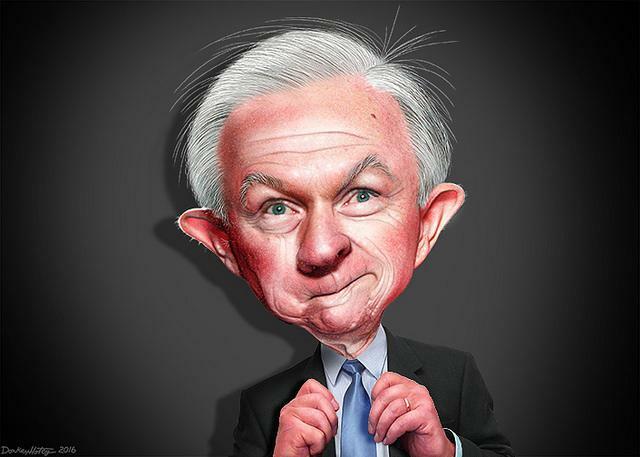 Sessions: I still put America first, damit! Attorney General Jeff Sessions broke from his tour of the U.S.-Mexico border Tuesday to announce his Justice Department’s sweeping plans for securing the border. “For those that continue to seek improper and illegal entry into this country, be forewarned: This is a new era. This is the Trump era,” Sessions told the crowd of Customs and Border Protection personnel in the border town of Nogales, Arizona. “We hear you and we have your back!” he assured them. Sessions proceeded to lay out a multifaceted plan to stop illegal aliens entering the country. All adults apprehended at the border are to be detained and at least 125 additional immigration judges are to be appointed and put in the field on an expedited basis. Twenty-five immigration judges have already been deployed to detention centers along the border to help alleviate the massive backlog of cases already piled up there. “The catch and release practices of old are over,” Sessions said. By the beginning of next week, every US Attorney’s office is to have a “Border Security Coordinator” to help carry out the Justice Department plan. Not only will those coordinators be charged with overseeing and advising on the new guidelines, they are commanded to assemble and report statistics on their implementation. Why are we doing this? Because it is what the duly enacted laws of the United States require. I took an oath to protect this country from all enemies, foreign and domestic. How else can we look the parents and loved ones of Kate Steinle, Grant Ronnebeck, and so many others in eye and say we are doing everything possible to prevent such tragedies from ever occurring again?